Mark your calendar for a free Demo by Rosalind Chan on one of the projects from her book. Date: 7 Apr 2015 / Time : 11am / Venue : ICCA Kota Damansara. I really enjoyed the Squires Kitchen Diploma course at ICCA. Over a stretch of six days, we started from scratch and eventually learn how to bring out and create our own ideas. We learn everything about royal icing, fondant, gum paste and the techniques of using them. The instructor was super-patient with us. I have much more confidence in myself after attending this six-day Diploma Program. I would definitely like to join more workshops at ICCA and one day become a Wilton Method Instructor. 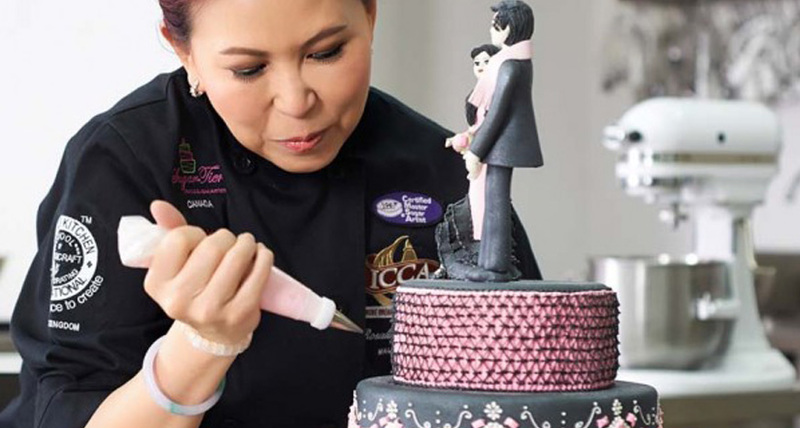 The International Centre of Cake Artistry (ICCA), is founded by Master Chef & Cake Artist Rosalind Chan. We offer cake decorating and baking supplies for the home hobbyist to professional! From basic buttercream icing decorating using Wilton character pans; to rolled fondant, cold porcelain & gum paste for the more advanced cake decorator. 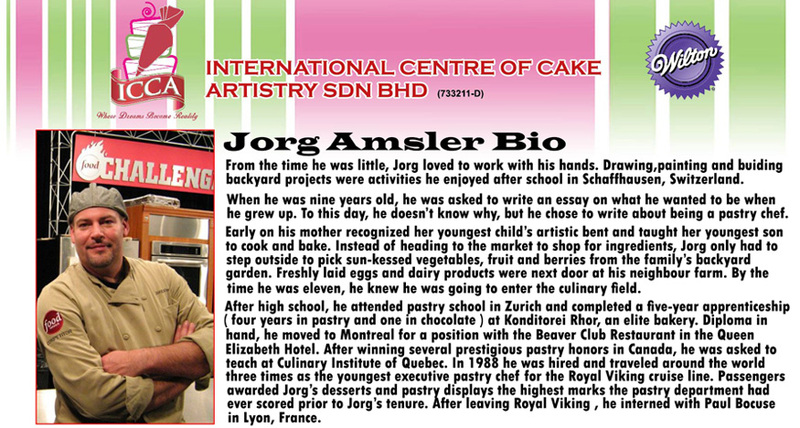 Copyright © 2019 International Centre of Cake Artistry Sdn. Bhd. All Right Reserved.